The Little Prince on the Subway is a collection of short stories about child labour, presented by the Minor Literature Award at the 1st Fifteen Words Festival of Micro-fiction. 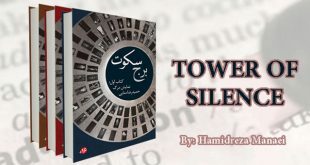 The book contains a selection of short stories (15 words or less), along with important information about child labour in Iran and introductions from festival judges Abotorab Khosravi, Mohammad Javad Jazini and Mohammad Reza Yousofi, as well as notes from participants and festival organizers about child labor and this festival. By the end of February 2017, judges had read 1843 stories from 486 writers. After the first round of readings, 310 stories from 216 writers were selected. Final nominees were announced on June 12 2017 to coincide with the World Day Against Child Labour. The Little Prince on the Subway contains 573 stories submitted by 483 writers. 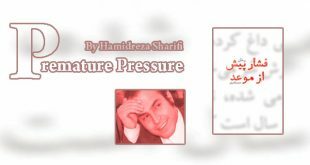 The book is 233 pages in Persian and was published in Iran. Sharif, the little boy, painted the words from the shop window, put it in front of his goods: SALE; due to job change. Hi! I recently met your The Little Prince on the subway. He was selling honey-gum. He sat next to me, tired. I gave him two books, he took one. Do you know The Little Prince is in 4th grade? He read the book. A smile came to his face for a moment. Then he looked at the pictures with curiosity and precision. The same precision you felt. When he finished reading, he gave the book back and said “thank you, it was very beautiful.” I told him he can have the book, but he shook his head and his smile faded. He was right! He had to sell honey-gum. Mr Exupery! As soon as I realized that he was The Little Prince he was gone, lost in the crowd. I let him go! Now I have an opportunity to write fewer than 15 words, and he has time to read this short story. I will write until I find The Little Prince again!